The average price rise so far isn't too bad actually. I was surprised to see that we're looking at about 4,5% on 2009 at this moment. Note that this number will grow the coming weeks. Because this is one of the strange rules in Bordeaux: the more expensive the wine, the more steep its relative price rise will be. So be prepared. It's always good to put these wines in the spotlight. Personally I would say Sociando-Mallet is a good pick. Note that these releases are all from this week, except for Beychevelle. Another indication that the +4,5% average will grow. In hindsight, the Beychevelle price jump wasn't so shocking, it now fits perfectly between its peers. The price development over time reminds me of that of 2009. Wines that were perceived as expensive at first, later seemed quite reasonably priced. Those wines will get sold out the coming weeks. - La Tour du Pin: made and owned by Cheval Blanc, very good! Next week will be busy, the last week before Vinexpo. During Vinexpo I take the opportunity to escape to Burgundy for a few days. We have some very interesting visits ahead of us, more about that later. And thereafter, in the first half of July, it will be time to wrap up this lengthy primeurs campaign, with the releases of the premier cru's. Also about that, more later. In the meantime: our Bordeaux 2010 offers are updated daily. It is easy to forget that until very recently no consistent living could be made in Bordeaux, at all. There was no money. Bordeaux has never made better wine, ever and demand has increased to significant new levels whereas leading chateaux have progressively dropped in yield. The usual hazards remain as with 2010’s 30% reduction in yield at top chateaux yet globally, demand has expanded significantly. 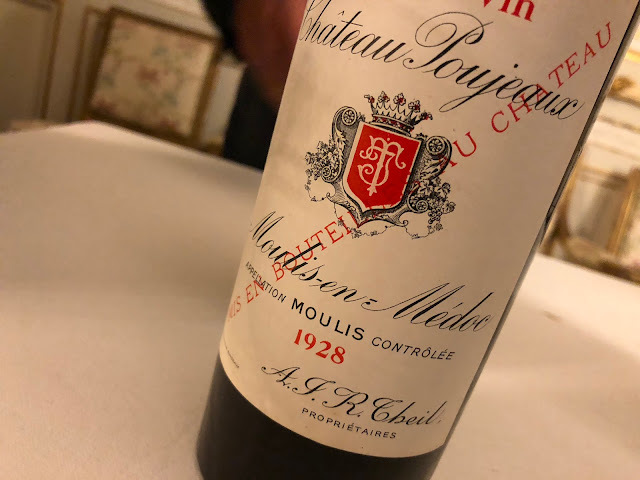 Of all the considerations of the Bordeaux trade, however, perhaps one feature influences pricing policy, or instinct, at chateaux before all others. Chateaux owners are aghast at the profits made on the wines they produce once released to on the open market while sitting, usually in London, in their original casing and being traded so profitably around the world, as evinced in the recently physical 2008. So perhaps policy is guided somewhat beyond China by way of wishing to see some of the gains that the wine will soon make go to the people that have made the wine. Nevertheless, as the world’s largest wine market La Place de Bordeaux is essential and irreplaceable to the top chateaux, no other system that can sell such quantities in a matter of hours.